Firstly I have been loving this cute little bracelet from Venice! I received this gem from my parents when they went earlier this month, it was made on one of the small islands just off the shores of Venice where they are famous for glass making. 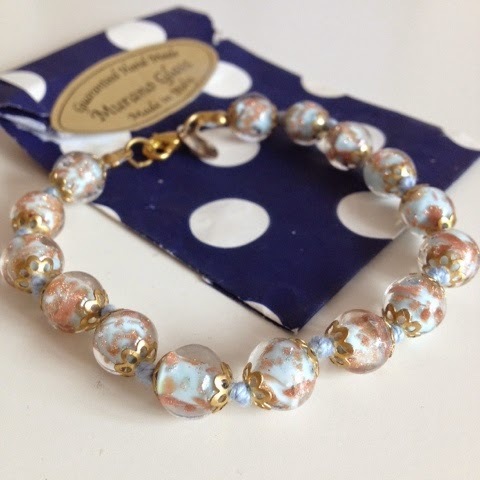 A light blue thread fills the glass alongside scatters of bronze glitter, really making the bracelet breath taking. 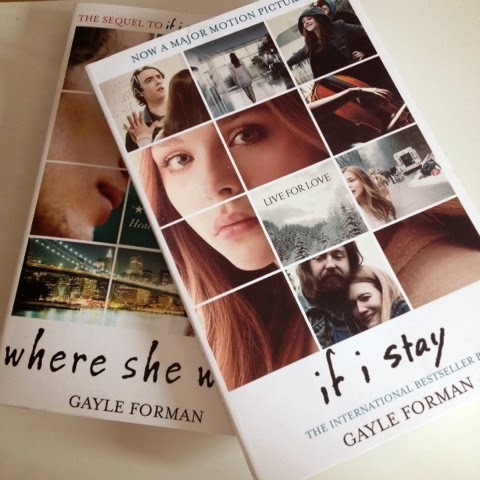 I have recently been getting back into reading before I go bed, and what better way to start off by reading 'If I stay', you might recognise the title from the popular film which is based on this best seller. The sequel of the book called 'Where She Went' is just as good but from a different perspective than the one in the first book. Both good reads, filled with love, passion, tragedy and reality. Now, I purchased this gem last year on holiday and it has always been a firm favourite in my 'going out' makeup look. The lipstick itself is creamy and smooth, not leaving your lips dry and chapped looking like some, which I like. The colour is girly and wearable for any occasion and outfit with a hint of shimmer throughout. 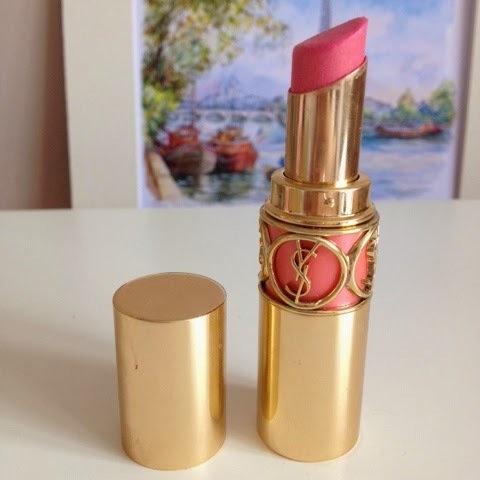 YSL produce many shades and colours which I why I suggest you go and find they best colour for you! These two soap bars from Bath Cosmetics are seriously heavenly. The dark pink on the left smells fruity and delicious and the multi coloured one on the right has a more perfumed fragrance. 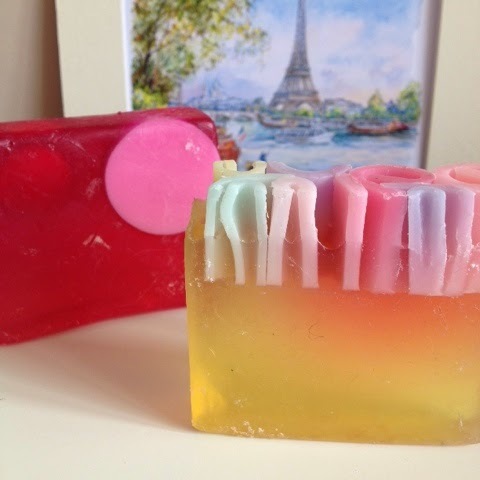 The plus sides of bar soaps, other than smelling nice, is that they literally last FOREVER! I have had the one on the left for over a year now and it still has hardly gone down, great buy and use of money! I purchased this skin care product a little over 3 months ago and it has worked a treat. Usually I am too scared to try any other products than that I know on my skin as I have always had bad reactions because my skin is really sensitive, however I brought this. The thing that drew me to the product was the smell! My goodness! It smells fresh and minty, which is my favourite scent! 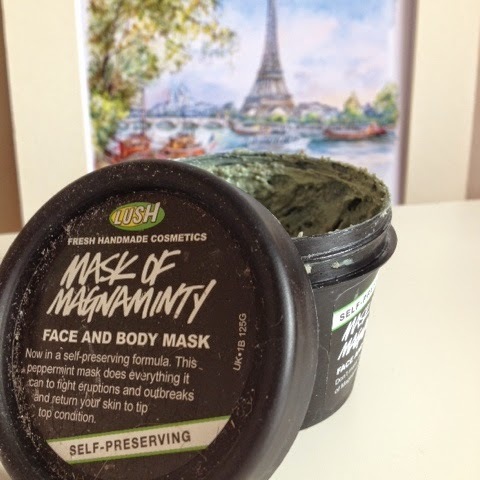 Mint is also very good for skin and this thick mask really scrubs into pores, leaving your face feeling much softer and cleaner! Okay, so finally is the very famous and popular scent from Marc Jacobs. I received this perfume as a gift this Christmas and it has become my every day scent. 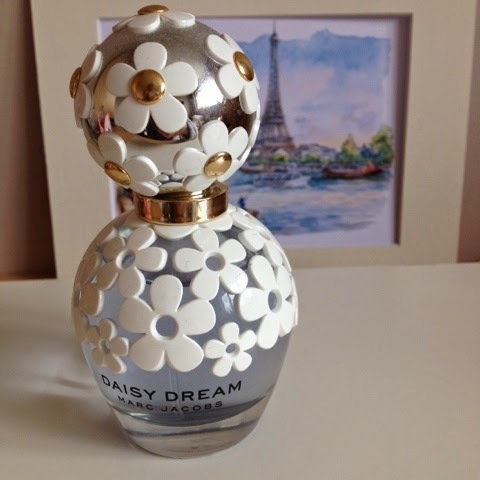 It smells heavenly, fresh and fruity, the packaging is girly and delicate which totally suits my room décor! A fab scent for summer time!